possible, targeting primarily the bobwhite quail. We also allow honeybee friendly trees and plants to naturally thrive, including clover, redbud trees, wild blackberry and raspberry, and goldenrod. We are a National Wildlife Federation Certified Wildlife Habitat, meaning that Zook's Orchard provides the four basic habitat elements needed for wildlife to thrive: food, water, cover, and places to raise young. 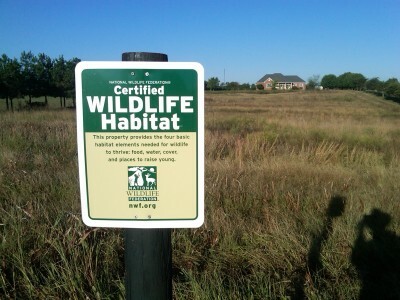 If you are a landowner, we encourage you to take steps to improve your wildlife habitat. The bobwhite quail population has been steadily decreasing in Alabama and game preserves with pen-raised quail are not the answer. 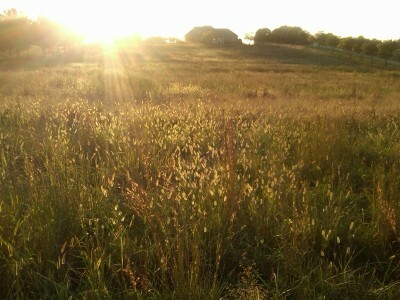 Wild habitat is! 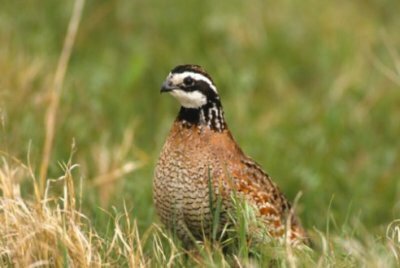 Bobwhite quail prefer, and prosper in, early successional habitat - recently disturbed ground that produces weeds, an open ground for them to easily move about, and overhead cover for protection from predators. At Zook's Orchard we work hard to give the bobwhite quail a good home and every year we hear their call... bob-bob-white, sometimes as close as our front yard. 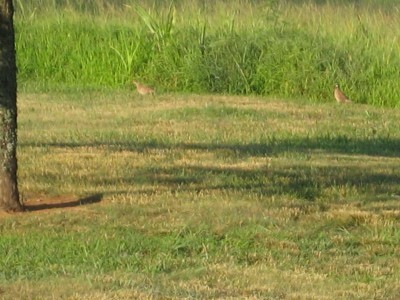 If you listen closely when you are at Zook's Orchard you just might hear the exciting call of the wild bobwhite quail! This pair of wild bobwhites came out of their Zook's Orchard habitat and into our front yard one afternoon. We think they just wanted to say 'thank you' for giving them a good place to live and raise their babies. Every year it seems that a mama deer selects the habitat of Zook's Orchard to start off her newborn fawn. We routinely see spotted fawns nearly every summer. If you ever see a spotted fawn, please leave it alone. Its mother, though not seen, is always close by and will take care of her little one. Can you spot the new arrival that we found one summer day just a few feet from our garden in this picture? Below is a close-up. When you are at Zook's Orchard keep your eyes and ears open! You never know what you might see or hear! We had some early morning visitors to Zook's Orchard on May 7, 2017! These twins were in our front yard the morning of September 2, 2018! Mama was spotted a bit later. Seeing this makes our habitat management work all worthwhile. Zook's Orchard has 6 bluebird boxes placed about the property. In 2011, because one of us is an engineer, we (he) decided to start keeping statistics on them - locations, dates of nest building, egg laying, hatching, and when the birds fledge or leave the nest. Other interesting information was noted too, such as when a snake made its way into the box and had a snack on either eggs or baby birds. Not a nice thing to think about but nature just being nature is all about survival and can seem cruel. Around mid summer of 2016 the engineer had too many other things to tend to and so the data collection stopped, although the boxes are still maintained and we always have bluebirds around. So here is some bluebird data: from 2011 to mid summer 2016 Zook's Orchard provided the homes and habitat for 187 baby bluebirds to hatch and join the environment! That's an average of over 30 bluebirds per year! We are proud to be able to help out the bluebirds in this way. If you have some acreage that is open, consider putting out some bluebird boxes.